This Great Helmet is modeled after an actual archaeological find that was named the Pembridge Helmet. 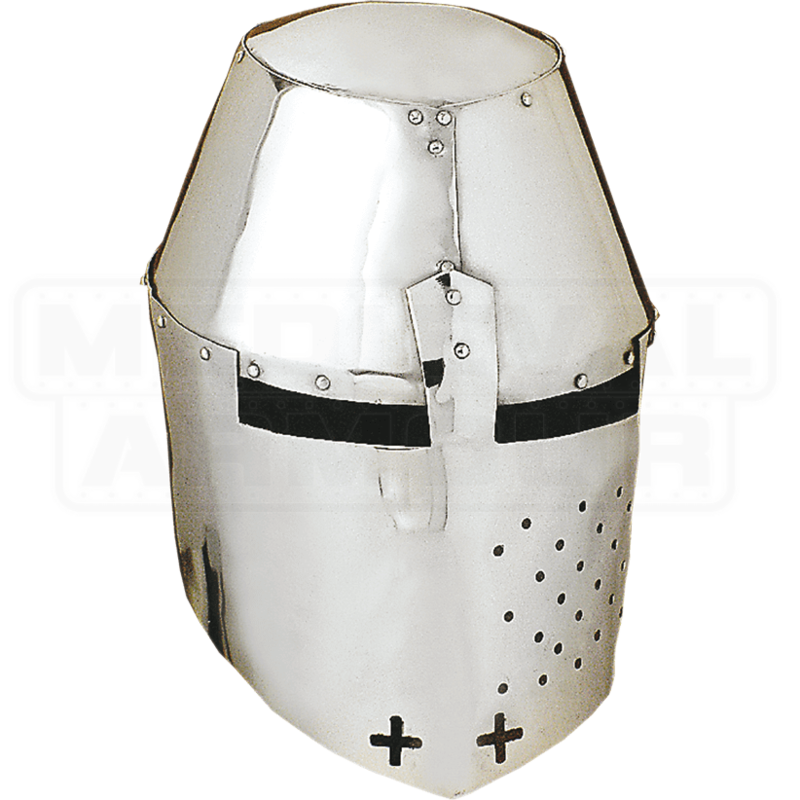 Crusaders, in particular, favored this style of helmet, and helms like this were used from the 12th century all the way to the 14th century. From the outside, this is a simply styled yet impressive looking helmet that will render anyone who wears it into a medieval knight, at least in looks. The helmet has a flattened top with paneled sides for strength around the crown. The lower half of the helmet features a pair of rectangular eyelets, which ensure that the wearer can see out, as well as circular and cross-shaped cut-outs that act as added ventilation as well as breathing holes for the wearer. The interior of the helmet features an adjustable leather liner and an adjustable leather chin strap, both of which ensure that virtually anyone can wear this helmet and wear it in relative comfort. 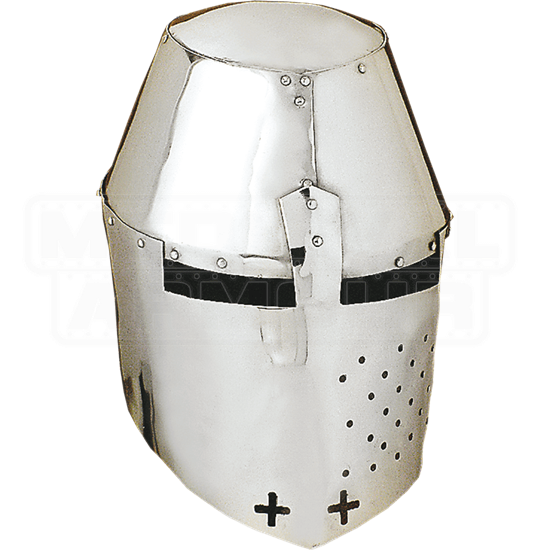 The helmet is made from quality steel, making it a great choice to wear to events like Renaissance Fairs or LARP battles. There will be no questioning your knightly style when you put on this Pembridge Great Helmet, and you can rest assured that while you are wearing it, your head is well-protected.